Our "Faerie Stones" are the tiniest of all Alchemy Stones, some measuring less than 1/2" across. Being so tiny, they are also the most difficult to create, as there is almost nothing to hold on to. They originally came about because Sarah wanted to have her marvelous polymer clay Faerie sculptures include a few Faeries holding a small Alchemy Stone... but these stones had to be "in proportion" to a figure standing maybe 5-6" tall. The first "Faerie Stone" was purely an experiment (and was not very attractive! 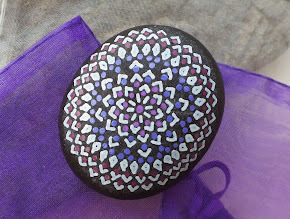 ), but eventually I made a few nicer quality stones. In time, we took some of them to an arts and crafts fair and they were among the most popular things we had-- especially with miniature collectors. A surprising number have ended up being part of "scale" dollhouse furnishings. A few have also been incorporated into jewelry. 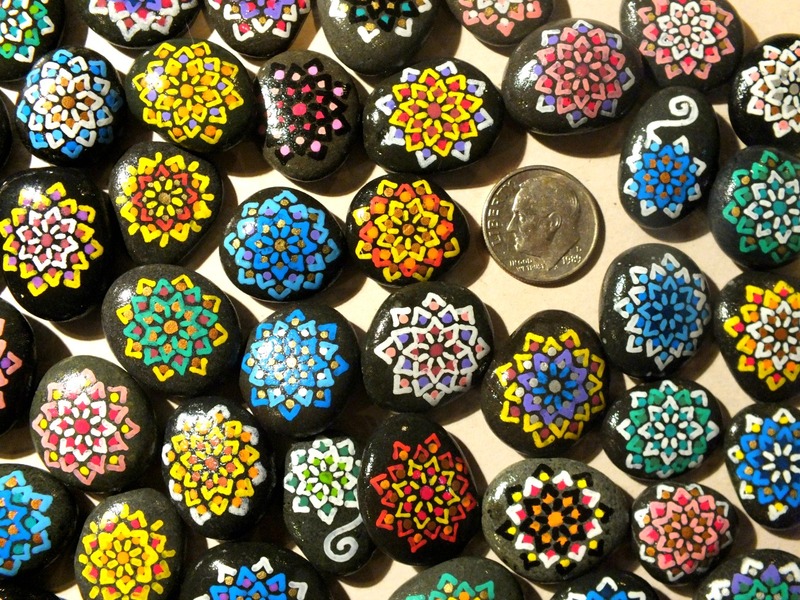 The photo at left shows a selection of Faerie Stones with a a US dime for size comparison. The supply of Faerie Stones is generally quite limited because we find very few tiny stones smooth enough to accept a miniature design. You might wonder why that is... well, with a rougher ("sandpapery") surface it's impossible to make a sharp and crisp line, so the stone surface must be exceptionally smooth in order for such a tiny design to not look "muddy." 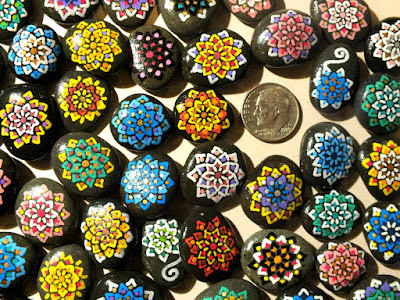 We offer Faerie Stones for just $4 each, which we feel is pretty reasonable for an entirely handmade piece of art. At this time, they are sold individually only through the Red Dragonfly Gallery in Port Townsend, WA... or (when available) in sets of SIX for $20, through our Etsy store.